Unfortunately, even the best intentioned dog owner may neglect caring for their dogs nails. This could be because the nail is not readily visible, or they don't know how to cut dogs nails, or people just don't realize that canine nails grow as fast, if not faster, than people nails. Their composition is different than those of people nails. Also, because dogs evolved in an environment where their nails were meant for constant fighting, digging and walking. As a result, they are much tougher and prone to curling around and under paws without breaking. In fact, these nails resemble bone in their hardness, and will actually force toe bones into crippling positions if left untrimmed. 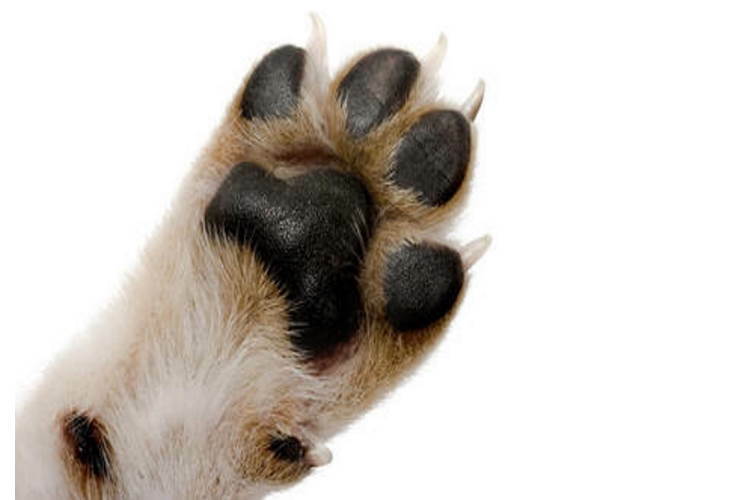 When dogs nails are allowed to grow so long that they begin to twist under the paws, forcing the dog to walk on them, then a surgical procedure will be necessary to return them to the shape in which they should be. This is because a blood vessel connected to the nail grows along with the nail, necessitating its severance in addition to the nail itself, a procedure requiring the presence of a veterinarian surgeon in order to monitor blood loss stemming from the cut vessel. Some dogs may allow you to trim their nails and other may have to be taken to a veterinarian. Both are acceptable devices to use to trim your dogs nails, so selecting one or the other depends on which style you feel more comfortable using. Just make sure the size of the clippers is proportionate with the size of your dog--you won't accomplish much using Shih Tzu-size clippers on a Great Dane's nails. An alternative to these kinds of clippers is a nail grinder, or an electric device which actually sands down those tough nails. Although some owners feel more comfortable using this type of nail groomer rather than taking a chance on accidentally clipping that vessel located near the nail quick (a painful event for the dog), it does take longer to sand nails down. In addition, some dogs may not be patient enough nor will they particularly like the sound of the grinder vibrating against their feet. The instrument you choose to trim your dogs nails is simply between you and your dog. Play with your dog before trimming his nails--play fetch, take him for a vigorous walk, make him tired so they he is ready to lay down and be mellow for awhile. Assemble everything you need ahead of time--clippers, treats for your dog (just because he has to endure the procedure) and styptic powder in case you accidentally hit that blood vessel. If your dog has dark colored nails, this can make it a lot harder to know where the quick is. Shine a flashlight under the darkened nail, and you will be able to make out the quick. Don’t’ cut to the quick, but a little before. Ideally the nail should be level with the ground and his foot pad. For puppies you can probably just use a regular toe nail clipper. Use a flashlight behind the nails to see where the quick is. And most importantly, if you have never clipped a dogs nails before, I would highly recommend having your Veterinarian show you at least a couple times instead of trying to wing it. Styptic powder is an antiseptic and clotting substance which is used during pet grooming to stop bleeding. Similar to the styptic pencil people use, this alum-based powder halts bleeding by causing vessels to contract and does not sting or burn when applied to a cut. Only a small amount is required to stop the bleeding. Some dogs are extremely frightened of having their nails clipped and will begin trembling, whining or even growling and nipping as soon as they see the clippers. If you have tried everything but nothing works to calm your dog, you may want to visit an animal behaviorist or certified professional dog trainer to work with your dog and help him overcome his fear.